One of the biggest trends in consumer tech, virtual reality (VR) has captured the minds of brands, marketers, educators and entertainers globally with the goal of creating immersive and interactive experiences. 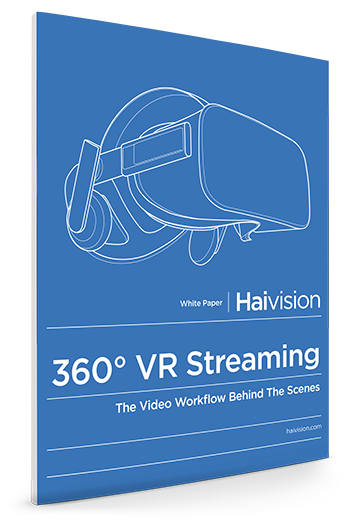 This white paper will guide you through what it takes to stream a high quality, live event using VR 360-degree workflows. In this white paper, you'll learn how to stream live VR 360-degree experiences online. We'll go behind the scenes and step through what it takes to stream a high quality, live event to online viewers using VR 360-degree workflows.